The 22-year-old Nebraska-born native definitely made his mark playing in Da Beauty League this offseason, the Minnesota-based hockey event that attracts several NHL players each summer. 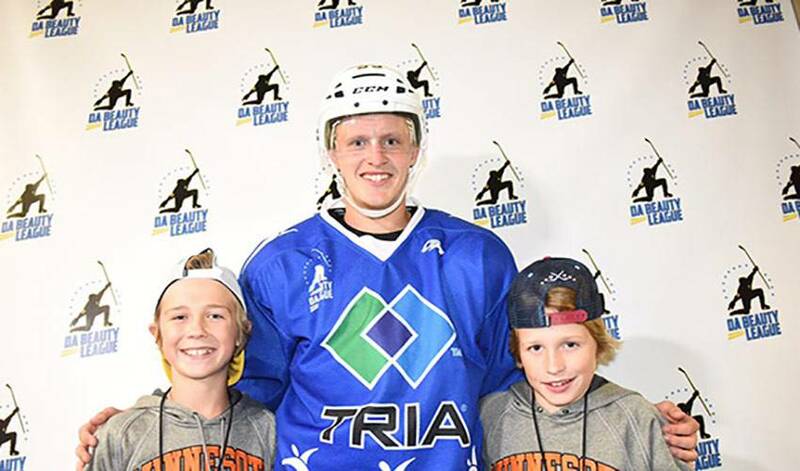 Guentzel topped the scoring leaders chart in Da Beauty League, five points clear of his closest competitor. “It's cool to see the talent that comes to Minnesota in the summer and be able to play with guys you play against all year,” said the 77th overall pick of the Pittsburgh Penguins in 2013. Facing Guentzel, be it in a summer league or on NHL ice, is no easy task. After a 2016-17 rookie regular season that yielded 16 goals and 33 points, the former United States Hockey League rookie of the year turned it up a notch in the Stanley Cup Playoffs. In 25 post-season games, Guentzel led all scorers with 13 goals, one off Dino Ciccarelli’s rookie record, and recorded 21 points, tying Ciccarelli and Villo Leino for most playoff points by a rookie. Guentzel, who scored the winning goal in Games 1 and 2 of the Stanley Cup Final, capped off his stellar campaign by hoisting the game's top prize after the Penguins bested Nashville in six games. Aaron Morem, media relations director for Da Beauty League, was impressed by how Guentzel performed on the ice, but even more so for how he conducted himself off the ice. After a beauty of a season in Da Beauty League, Guentzel will look to carry over that form into his second NHL campaign. The Penguins know precisely what they have as they ready for their pursuit of a championship three-peat.